Pre 93 Touring car race at Silverstone on weekend 07 – 08 June 2014. 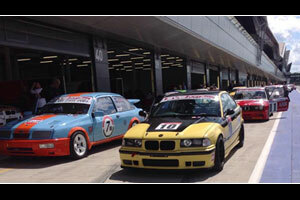 Ray fired up the e36 BMW M3 for its 3rd outing this season finishing 4th and 3rd. Not that Ray looks a day over 30 but it has been well over a decade away since Ray was competing in the racing scene and both car and driver are really getting on the pace! !